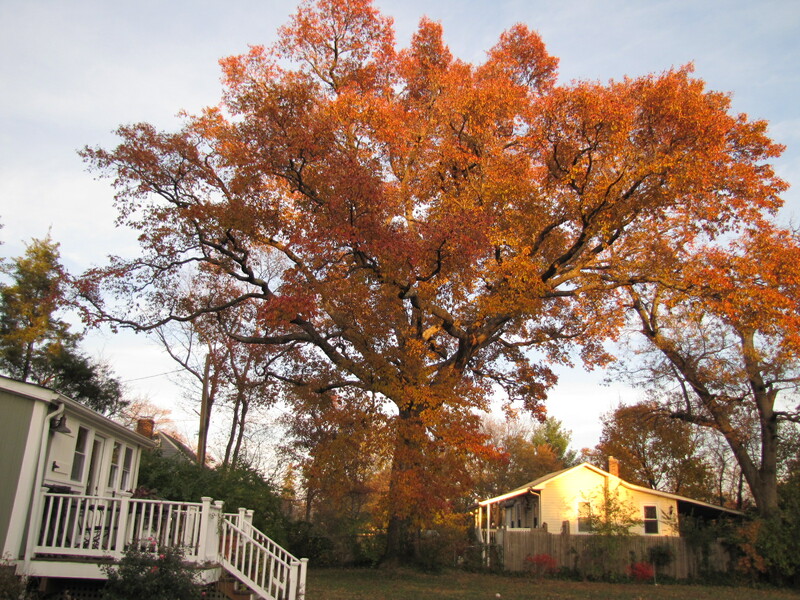 Arlington County has a number of programs designed to recognize its most outstanding trees, for the purposes of rewarding owners for maintaining them, encouraging owners to continue to do so, and for generally increasing public awareness of trees for their beauty and their benefits to the environment. Tree Steward John Wingard works with the County primarily on the Notable Tree Program through the Arlington Beautification Committee. He prepared the attached summary of these programs for a recent Tree Steward class, and it is posted on this website for future reference by Tree Stewards and the public. In addition, Arlington County Forester Vincent Verveij recently developed an interactive map of the County’s current Champion, Notable and Significant Trees. This is a very handy tool for Tree Stewards and the public to easily identify recognized trees in their respective areas. It will assist in identifying whether a tree is already recognized in some way before it is nominated for Champion or Notable Tree status. Find the map at http://gis.arlingtonva.us/gallery/index.html, and it’s the fourth map in the rows. Circumference in inches + height in feet + 1/4 average crown spread in feet. Awards presented by County Board at a meeting in April, as approved by the Arlington Beautification Committee. Nominations from public may be submitted to County at any time (see nomination form on website for address), but there is a specific solicitation for public nominations in the fall. Award status protects tree from removal or injury without approval, subject to exceptions provided in the ordinance. $2500 fine for violation of ordinance. Trees may be nominated by the public at any time. See nomination forms on Co. website. Not an “official” program, but you may run into this term. This is a purely administrative term and database created and maintained by County Natural Resources Specialist Greg Zell. What Can Tree Stewards Do About These Programs? Familiarize yourselves with the programs above and the lists of the various kinds of trees on the County website. Be alert for potential Champion and Notable Trees as you go about your activities in the County. Be particularly alert for unusual native species, since these are more rarely nominated. If you see a tree that you think has potential as a Champion or Notable Tree, consult the applicable list and determine the relative sizes of the trees of the applicable species on the list. Email me at my address at the top of this document, providing the specific address of the tree, its location on the property and the probable species, and I will also check out the tree to see if it is suitable for nomination. This entry was posted in Advocacy, Education and tagged champion trees, notable, recognition. Bookmark the permalink.